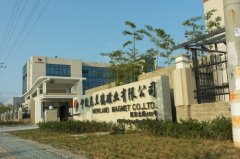 company profile of Ningbo Newland International Trade Co., Ltd.
With an experienced management team for the Newland company and engineers that have more than 10 years of experience with sintered NdFeB magnets , we produce customized magnets and assist our clients to choose the best, low cost magnets using our experience. 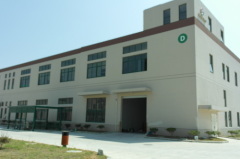 Also, we own regular labs and test centers with full facilities and a large group of excellent technique specialists to provide the best quality available. Newland processes a wide spectrum of high quality permanent magnets ready to satisfy any practical requirement in every operable condition. Newland utilizes new sintered NdFeB magnets techniques and equipment such as Strip Casting, HDDR (Hydrogenation Disproportionation Desorption Recombination) technology to make many different grades of NdFeB magnets from N,H,SH,UH and EH grade ,(BH)max from 33-51 MGOe, maximum working temperature up to 230 Degrees Centigrade. 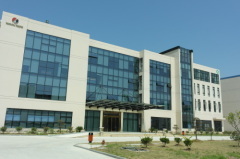 All the products are manufactured according to the ISO 9002 quality system. Newland can supply licensed and unlicensed NdFeB magnets to licensed area. Aside from our magnet products, our machine factories can make and assemble any magnetic components, and systems (i.e. magnetic hooks, magnet filters, speaker parts, motor parts, and other common applications). We use 3D engineering software to help clients design and analyze their prototype. Based on LCR (Low Cost Regions) and advanced management, we can supply more competitive magnets to our clients at very competitive prices. Most of our products sell to the United Kingdom, Germany, France, USA, and Russia. Not only have we provided magnets but also the solutions of magnet application assembly.